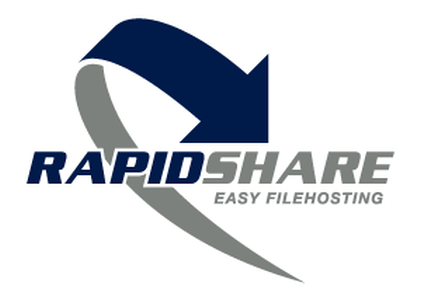 RapidShare, a cyberlocker service that allows users to anonymously upload files to its servers and share download links with anyone they want, has announced that it's going to start cracking down on users sharing copyrighted material. It's a predictable strategy for a company that's spent most of its existence a hair's breadth away from being sued into a million little pieces by record labels. For those of you unfamiliar with the finer points of stealing music, cyberlockers like RapidShare, Megaupload, and MediaFire are the easiest way to do it. They don't get as much media shine as P2P services because they haven't been involved in a high-profile RIAA suit, but savvy downloaders know that Limewire is old news. Type the name of any semipopular band or album into Google and odds are that the autocomplete function will offer that name and the word "RapidShare" as one of the first options. Those options are ranked by popularity, which means that a significant percentage of the people Googling that band or record are doing so in order to grab the music off RapidShare for free. In an unspecified document obtained by TorrentFreak, RapidShare general manager Bobby Chang promises that the service is "more aggressively than before terminating accounts of users who have been caught uploading copyright protected content" and that the company will "institute proceedings" against some of its competitors "who are intentionally supporting criminal activities." TorrentFreak notes: "By 'criminal activities' Rapidshare means uploading copyrighted material, the same activity that helped their business to flourish." Chang also says RapidShare is working to set up a legitimate online digital store to sell music and movies to users who come to the site in order to steal them. I'm not sure I buy the scenario Chang lays out—that would-be pirates will throw up their hands and pay for content if RapidShare frustrates them by repeatedly redirecting them to a store—but it's an interesting concept, and a savvy attempt to avoid the wrath of the RIAA's lawyers.